The hype surrounding John Lewis’s Christmas advert shows that the release of the highly anticipated campaigns is tantamount to a festive event and tradition in its own right. Using YouGov BrandIndex data, we can see the upsurge across a variety of metrics that the release of the advert created. The advert follows a proven formula which has served John Lewis so well over recent years; a powerful and emotionally charged storyline, combined with a popular song poignantly reworked in order to fully elicit a warm reaction from viewers. Although some may argue that this method is overly formulaic, it definitely appears to resonate with consumers. YouGov BrandIndex’s Ad Awareness metric measures whether a respondent has seen or heard a brand’s advert in the last two weeks. We can see a very dramatic spike in John Lewis’ score since Monty and his companion burst into our lives. From a score of +15.8 at the beginning of November, the score now reads +45.1, a huge increase. It also highlights the multi-platform approach John Lewis has taken; releasing teasers and the full ad via YouTube before its first TV appearance during an ad break in the middle of XFactor. If we compare to last year, we can see that Monty has just about eclipsed the score achieved at the same time last year. 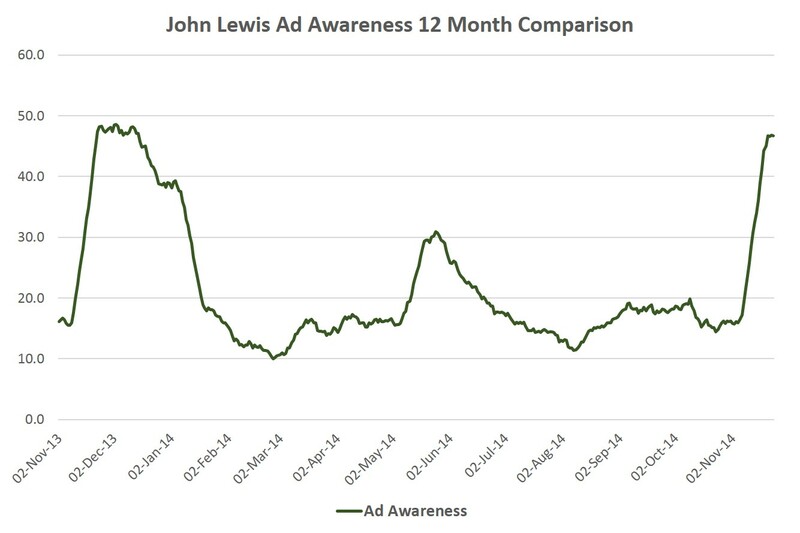 This shows that John Lewis has a clearly established ad spend formula, and campaigns that repeatedly hit the spot with viewers. The effectiveness of the campaign can also be judged by how much it has got people talking - generating excitement among viewers. 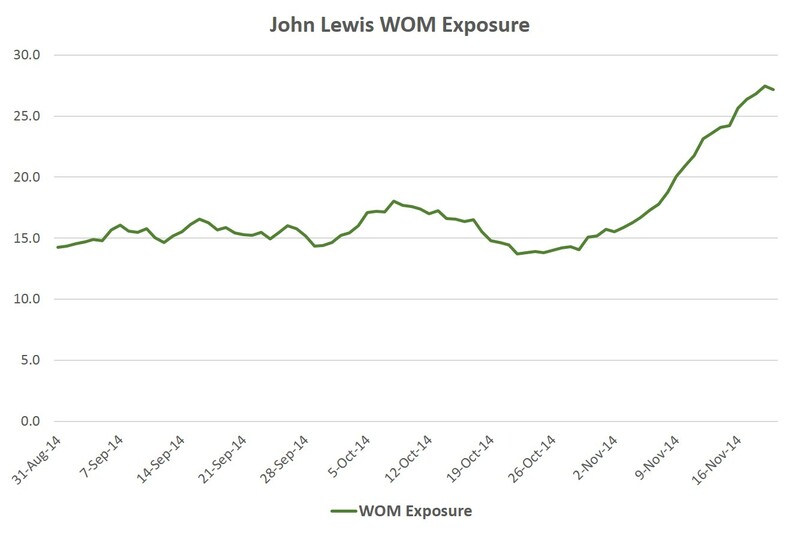 YouGov’s Word Of Mouth metric shows another substantial increase in John Lewis’s score. At the start of November, we see the score was at +15.7, and now stands at a far better +27.2, illustrating the amount of conversation the advert has sparked, whether that consists of positive or negative opinions of the ad. YouGov Profiler indicates that there is an attitude among John Lewis customers that point to the notion they ‘don’t mind paying extra for good quality products’, which the company will be keen to offer over the festive period. Bosses will be content in the knowledge they are seen as safe, trustworthy and reliable by the public and will be hoping this translates into the best Christmas yet for the brand.